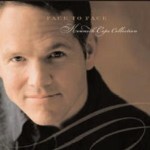 He has released 17 albums, including a lot of work done for years with EFY CDs. Kenneth has also found great success through his song-writing and story-telling. 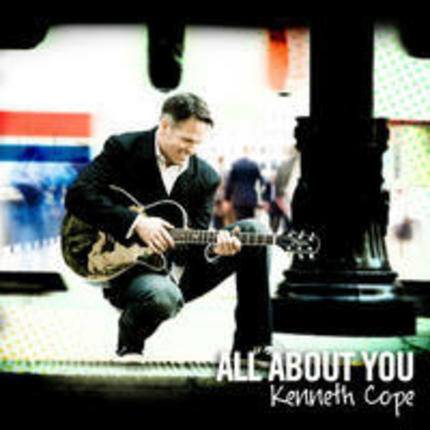 Those that have listen to his music understand that the music created by Kenneth Cope is unique and shares with it’s listeners a love for his talent. 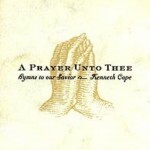 Bright sounds and worshipful lyrics are what this album is all about. Actually, it’s All About You! 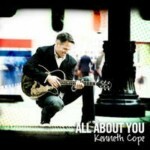 Contemporary and fresh, All About You is a collection of songs filled with meaning and praise as only Kenneth Cope can create. Perfect for every day and every family member, this album will infuse you with energy, lift your spirit, and turn your eyes to God — because really, it’s all about Him. Can you feel the fire? Can’t it just work out the first time? To make me whole, and bring me home? So how can I ever measure up? Won’t someone else beside me tell me? Who will trust in You? And what on earth could ever matter more? Your favorite songs from his greatest albums, together on one CD! The CD also includes four never-before released recordings. Listeners everywhere will love this hand-picked collection of inspirational songs! Songs inclue; His Hands, Never a Better Hero, Man in the Sun, White Dress, and more! 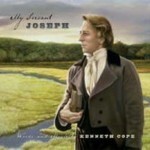 Joseph Smith the Prophet of the Restoration. Walk by his side as he grows in testimony, rejoices with angels, sorrows in tribulation, finds peace from the Savior and holds out faithful until death. 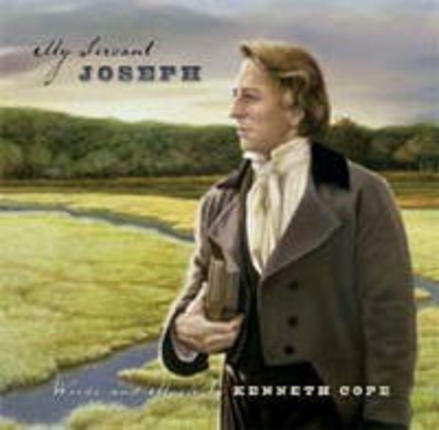 My Servant Joseph Kenneth Copes landmark album, reminds us of the importance of the Prophet’s great mission. Music: Henry Tucker / Anon. After escaping prison in Missouri and arriving in Illinois, it wasn’t long before Joseph began preparations for the founding of a city. The land chosen was “literally a wilderness . . . mostly covered with trees and bushes, and much of it so wet that it was with the utmost difficulty a footman could get through . . . so [unhealthy], very few could live there; but believing that it might become a [healthy] place by the blessing of heaven to the Saints . . . I considered it wisdom to make an attempt to build up a city.” (History of the Church, Vol. 3, p. 375) And so by channeling the water, a city began to grow from what had been an uninhabitable swamp. It was soon named Nauvoo, a Hebrew term, signifying a beautiful place. A city plat was drawn up, buildings began to appear, streets were leveled, and converts began to pour in from all over. The missionary effort had won many souls, especially in the British Isles. The Nauvoo Legion was formed and a local government was established appointing Joseph Smith as its mayor. The crowning jewel, however, would be the temple that began to rise at the top of the hill to the east. It wasn’t long before Nauvoo rivaled Chicago as the largest city in Illinois—this beautiful city of Joseph—miraculous Nauvoo. Joseph’s farewell to Emma and their children was certainly not without emotion. Two day’s earlier, as he was leaving them intending to go away to the west, he had come out of the house unable to speak, his tears flowing fast. How must it have been now, when he sensed his death was imminent? His children clung to his clothes, while Emma wept at his side. A thick air of gloom hung over Joseph and the others at the jail. They had been continually threatened with death since their arrival. And although the chance of returning to his family didn’t seem likely, Joseph found some measure of comfort, enjoying at this time the companionship of a few of his most intimate friends, including his older brother, Hyrum. On June 27th, as John Taylor sang “A Poor Wayfaring Man of Grief” and the words, “if I for him would die?” echoed in that upstairs bedroom, what might have passed through Joseph’s mind? It is not hard to imagine him mentally preparing himself to do just that—die for his Savior. Jesus had, after all, set Joseph’s feet upon the path that eventually led him here. Some twenty-four years earlier, by His own voice and presence, the Son of God had conversed with Joseph in the grove. Since then, revelation after revelation came from that familiar voice, beginning with such words as, “Thus saith the Lord your God, even Jesus Christ . . . .” (D&C 38:1) Jesus was Joseph’s Lord—the God he had learned to obey. Joseph conversed with Him, received instructions from Him, worshipped Him, and knew Him intimately. It is therefore, no surprise that when gunfire began to fly around the prisoners like hail, and the work of murder commenced, the last words from the prophet’s lips were, “O Lord my God!” This was not a random cry of fear, such as the world uses, but most likely the beginning of an unspoken prayer, the substance of which we have yet to know. But Jesus knew, and was right there to take Joseph to Himself that he might, at last, be beyond the reach of his enemies. “He’s free; he’s free; the Prophet’s free! . . . Beyond the reach of mobs and strife, . . . He died; he died for those he loved . . .
From one of the best selling LDS artists of all time comes Hear My Praise the quintessential, deeply uplifting album that will inspire and move people to good works. 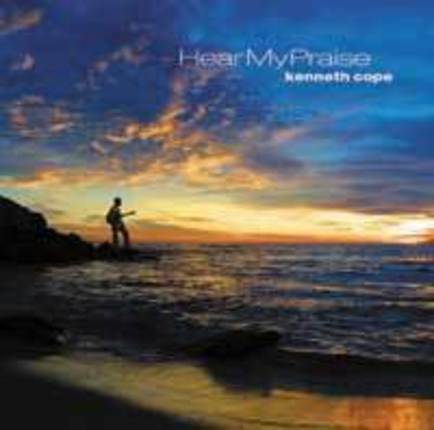 Hear My Praise is a collection of frequently requested inspirational favorites that Kenneth Cope performs. Sacred. Passionate. Elegant. 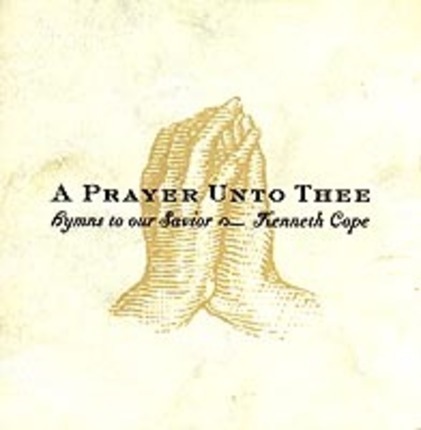 A Prayer Unto Thee, uniquely and beautifully combines 23 different worshipful hymns that directly address the Savior.